Musty smell sometimes become a serious problem in the car. There are a few things you should know about the cause of the musty smell in the car. The car's interior is in pristine condition is actually not enough. Most people would feel better if it had been washing their cars. However, for the interior, sometimes people do not really notice it. This could be one cause of the musty smell in the car. Therefore, clean the interior of a car can be very helpful in removing the musty smell. Many people are considering using fragrances in the car. Choosing freshener can actually be an easy decision. However, you should think again because fragrances can affect your mood and your car's interior. 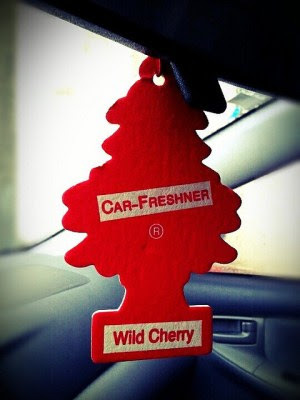 Here are some tips you can employ to choose a suitable car freshener. 1. The first thing you need to consider in choosing a fragrance is about the type. Try to choose the type of fragrance in the form of presenting a fragrant aroma therapy natural, like tea, coffee, leaves like pandan leaf, or fragrances are made ​​of wood. 2. Avoid choosing a perfume with the scent of perfume striking because if posed too sharp, can cause you to feel nauseous and dizzy from inhaling too much. 3. Put perfume on places that you think has the potential to emit odors, such as baggage, seat, or the corners of your car. Some of you may be more happy to put deodorant in front of the air conditioner, but if you do not want to smell good too sharp, you can put it on the dashboard. 4. For these types of fragrances in the form of liquid is in the bottle, you should put it near the air conditioner because of the smell that will result will be more influential than simply ignored. 5. Fragrances with this type of spray, you just spray it around the room under the seat and corners. This method is considered the most powerful because the fragrance will last. 6. Try not to let you avoid that type of gel fragrances. This type of deodorant contains silicone that will affect your car's interior. silicon content in fragrance types of gel will leave a yellow stain when exposed to sunlight, what more with the car's interior made ​​of leather. In addition, the fragrances of the gel material usually can also leave a bad odor. 7. If you are forced to use a perfume made ​​from gel, do not put it near the air conditioner because it will cause the crust and also bad odor. 8. Use fragrance or perfume, car necessary. If your car is fairly fresh, you do not need to use fragrances. Use the time when you need it. 9. Do not forget to always keep the air circulation inside the car so that is always good. Frequently opening the door or window of the car at certain moments. This will help you in maintaining the circulation of air in the car.